John Shanks was born at Stonefield in 1927 to William Shanks, a Handloom Weaver and a Church Officer of the Oakshaw Street United Presbyterian Church, and Helen Gowens. He served an apprenticeship as a plumber with Wallace and Connell in Glasgow, and on completing his apprenticeship continued in their employment as a skilled tradesman or journeyman. 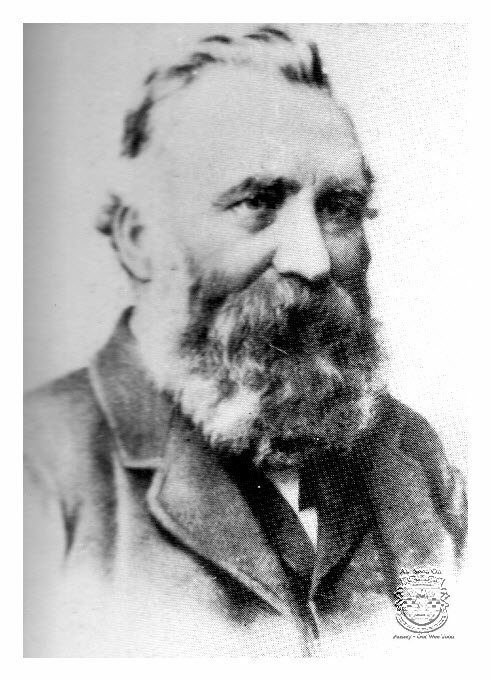 But he was ambitious and keen to be his own master and in 1851, aged twenty-five, he started his own business at 32 High Street, Paisley as a plumber and gas fitter. Two years later he opened a branch in Lowndes Street, Barrhead, before moving to larger premises in Main Street, opposite the Free Church. Later the same year he was sub-contracted the plumbing work involved in the installation of a Bell and Clock in the Bourock Church Tower . Shanks continued to operate the two premises until 1855, when he closed those in Paisley and thereafter concentrated his operations in the expanding town of Barrhead. The same year he was joined by his younger brother Andrew Ferrier Shanks, who had also served an apprenticeship as a plumber with Wallace and Connell. In 1860 Shanks established a brass foundry and finishing shop in the upper floor of the premises so he could manufacture water closets, many of which at that time incorporated working parts of iron and brass. He still had to buy the necessary cast-iron components and these were supplied by George Smith & Co., of Glasgow—well known for their cast-iron urinals—while the earthenware closet basins came from J. M. P. Bell of Glasgow. Barrhead was changing, the introduction of piped water from the Gorbals Waterworks during 1860-65 and a new sewage system a few years later meant that new houses would have sinks with running water and a WC on each tenement landing. Shanks was quick to appreciate the market potential of the growing awareness of public health and set to work developing a water closet with a plunger valve and a ballcock to fill up the basin, for which he took out his first patent around 1864 The demand for sanitary appliances was increasing and would continue to do so for the foreseeable future and in 1900 they opened their own pottery . Between 1862 and 1895 Shanks took out over Sixty Patents . Shanks erected a larger base of operations which he called the Tubal Foundry in 1866. This eventually became a site of great importance to the people of Barrhead, as a centre of industry in the area and an employer of many local people. The original site of the Tubal Works was near where Barrhead Library is now, and it is marked by a blue plaque as part of the town’s heritage trail. Although Shanks died in 1895, his business remained in his family for a century, initially being taken over by his son, also named John. 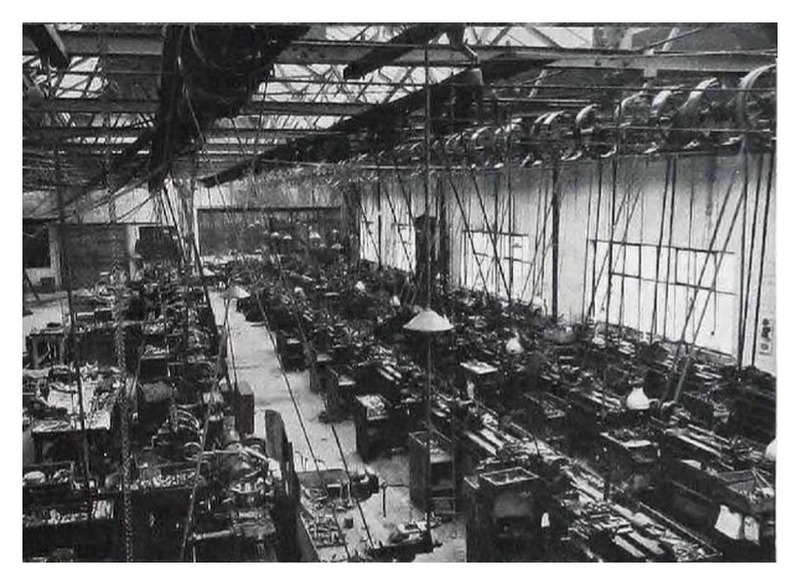 Shanks went from strength to strength, opening another factory at the end of Victoria Road: the Victoria Works. In 1918 the pottery works owned by J&M Craigs which were situated in Longpark, North Kilmarnock were bought by Messrs Shanks of Barrhead. Employing 300 workers there, Shanks produced glazed sanitary wares such as toilet bowls and sinks.